SB | SRC Safety Boots. 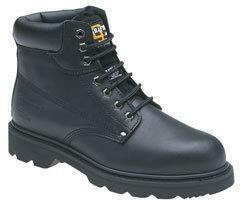 200J resistant Steel Toe Cap. Heat and Oil Resistant Sole. Colours Available: Brown Leather, Black Leather & Honey Nubuck.